+ right across the UK, global stockists and online. You can read about my cycle trip to India in the article and the background to some of the songs I wrote on the way. Here’s a link to the bandcamp site where you can hear seven songs from the forthcoming album…but you’ll need to get the magazine to get the full article. 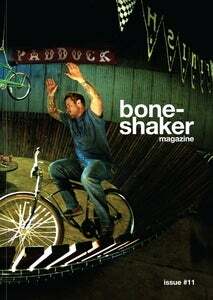 At only £6.00 and jam packed with brilliant photos and great articles Boneshaker is a top buy whatever your interests.